ParkVia lets you sail away knowing that your vehicle has been left in safe hands. 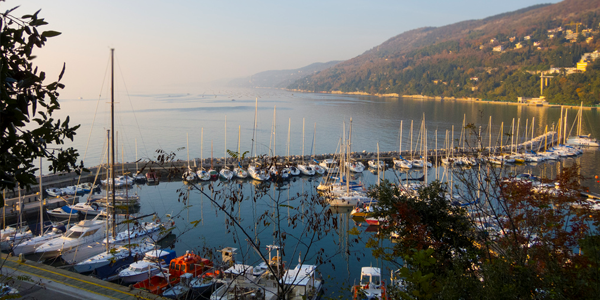 You can book Trieste port parking through our website with no added costs or booking fees, and at just 3 minutes from the port! Our car parks can accommodate all types of vehicles and offer free transfers to and from the port via shuttle bus. The prices that you find on our site for Trieste port parking are very competitive. Booking is easy, quick, and guarantees you a parking space. How do I book Trieste Port Parking? Trieste port enjoys a strategic location on the Adriatic coast and is Italy's second most important port in terms of traffic after Genova port. Trieste port serves as an international port of call for Italy and the expanding markets of Central and Eastern Europe. Trieste port also plays a vital role in intercontinental commerce between Europe and the Far East. With this and the European Union's expansion towards the East, Trieste has grown to become a hub for maritime traffic. In recent years, Trieste port has nonetheless come to establish itself as an important cruise port. Anyone wishing to explore the eastern Mediterranean coasts by cruise ship will find that Trieste port is an ideal point of departure.